Zimbabwe has banned the import of grain after enjoying a bumper crop that authorities hope will be enough to feed the nation and stimulate home-grown production, according to a report. The state-owned Chronicle newspaper reported on Tuesday that the country’s grain agency, the Grain Marketing Board (GMB), had also managed to raise $200m to purchase maize from local farmers. Deputy minister of agriculture Davis Marapira said that the southern African country had banned grain imports “to protect local farmers after producing enough to meet local demand”. 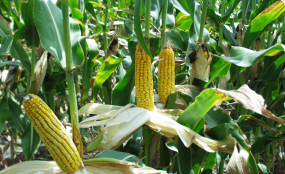 “GMB will buy maize from local farmers from the funds they have and more money will be available to purchace locally produced maize,” Marapira was quoted as saying. Zimbabwe was expected to be able to save up to $500m through cutting grain imports from neighbouring countries that included South Africa. This came just a week after First Lady Grace Mugabe said that Zimbabwe was no longer in need of humanitarian support from Non Governmental Organisations as it was poised for a bumper harvest this year. Grace said this while addressing party supporters at a rally held in Marondera, about 80km east of the capital Harare. She said that it was now time to “vet some of these NGOs operating in the country”. Non-governmental organisations had been providing aid to the Zimbabwean people for a couple of years now owing to drought and poor harvests. 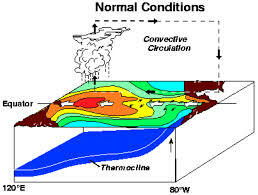 Zimbabwe and a number of other sub-Saharan African countries were hit hard by El-Nino induced dry season, forcing the southern African country to import maize from neighbouring countries.